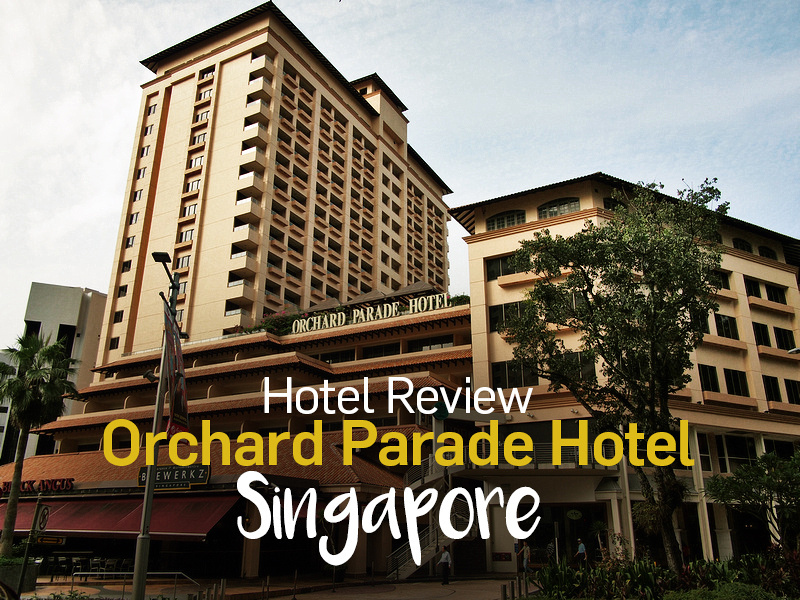 I stayed at the Orchard Parade Hotel in Singapore. I was a guest of the hotel for the first night, and I paid for a second night. 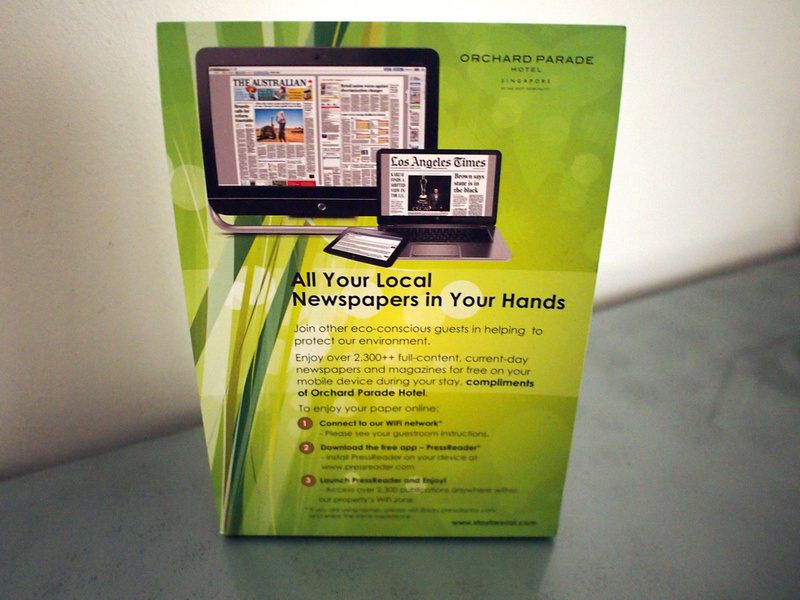 The Orchard Parade Hotel is a 4 Star hotel in the Orchard Road shopping area – at the end of Orchard Road where it becomes Tanglin Rd. It’s at this end of Orchard where there are some big malls, and it less than 10 minute walk to the ION Orchard shopping mall and the Orchard MRT station. My room consisted of a big comfortable bed which was so comfortable that I ended up doing all my work from here. 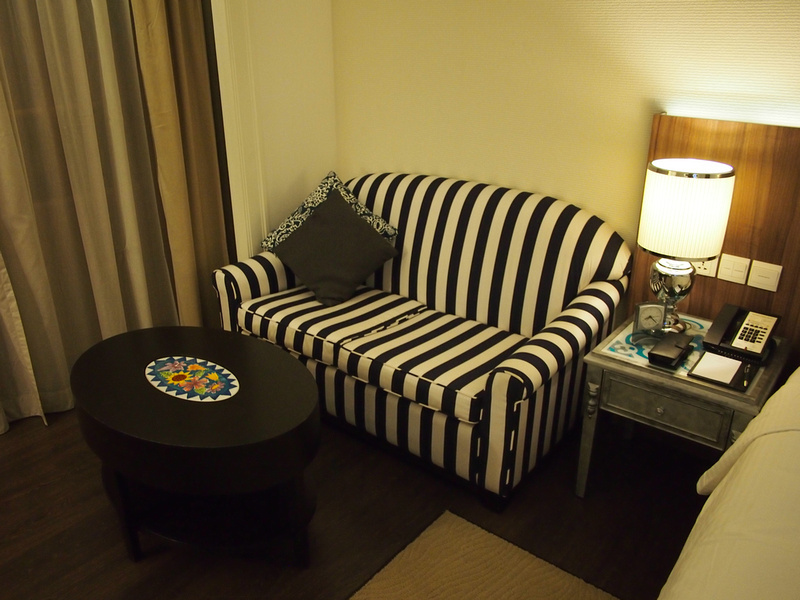 I liked layout of the room of having a couch as well as a working desk. It was a good use of the space, though the space between the bed and the TV stand was a bit narrow. This was no problem to walk through but the cupboards with the tea and coffee and minibar didn’t open all the way out. 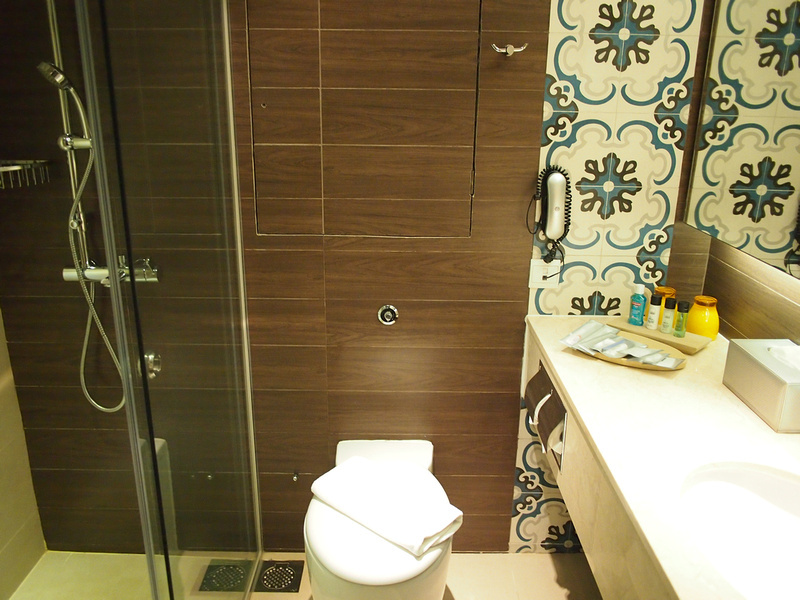 Nice bathroom with a thoughtful selection of toiletries, including mouthwash. The wifi was free and no problems with the connection. You log in with your name and room number, so no fiddly passwords to deal with. I like that the hotel advertises that you can use wifi to read the paper instead of having them delivered to you every morning. I’ve always found that wasteful when hotels deliver newspapers even if you don’t read them. 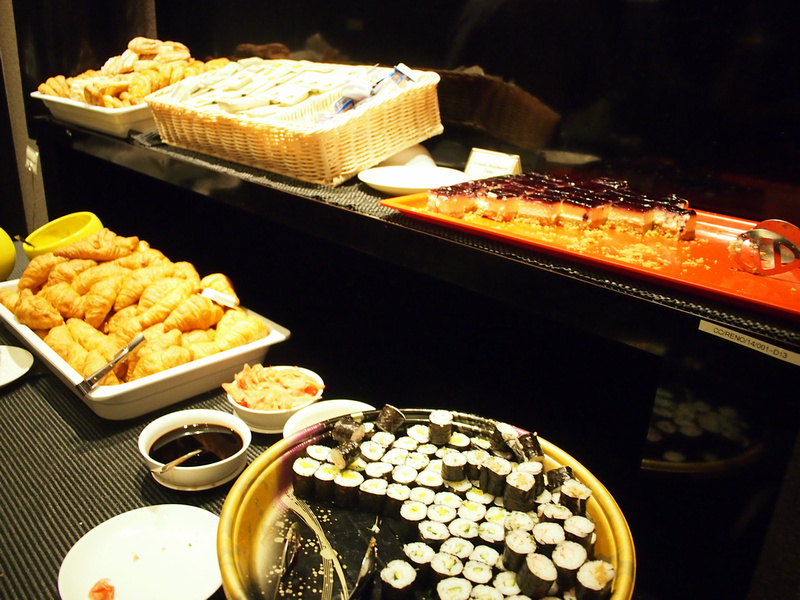 There is the usual breakfast buffet (check your hotel deals to see if it is included, otherwise it is extra) featuring a wide range of western and eastern style breakfast favourites. 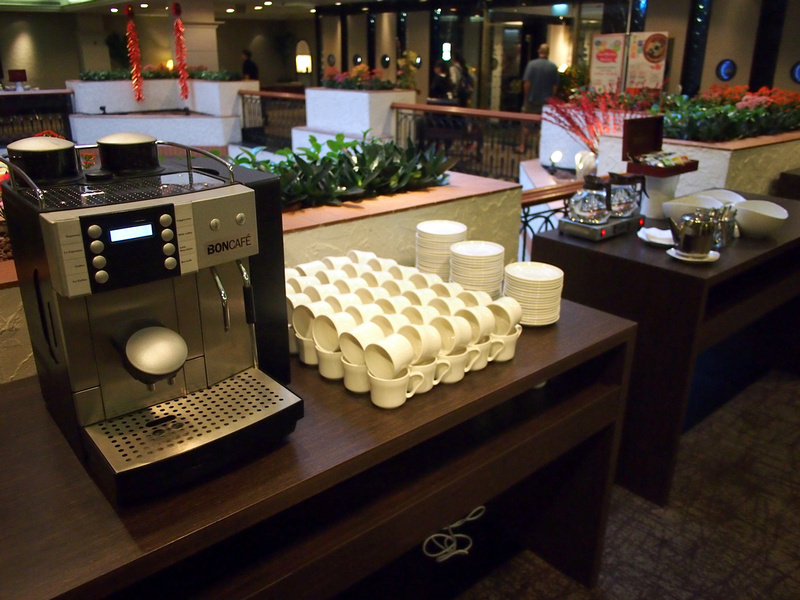 Outside the breakfast room there is a free tea and coffee station that is open throughout the day. 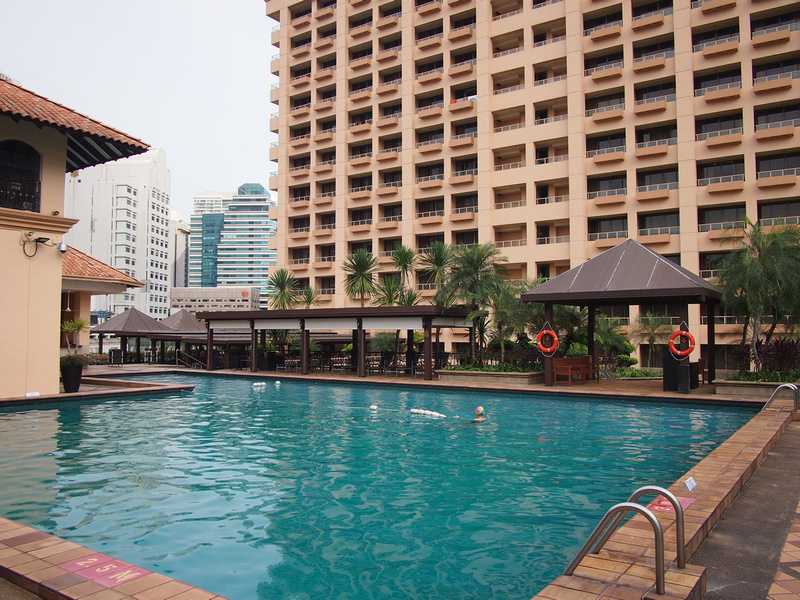 The hotel has an excellent swimming pool and leisure area, which is on the roof of the lower building, hidden away from the street. There is also gym facilities available. You can book directly online or search for the best deals on Agoda. 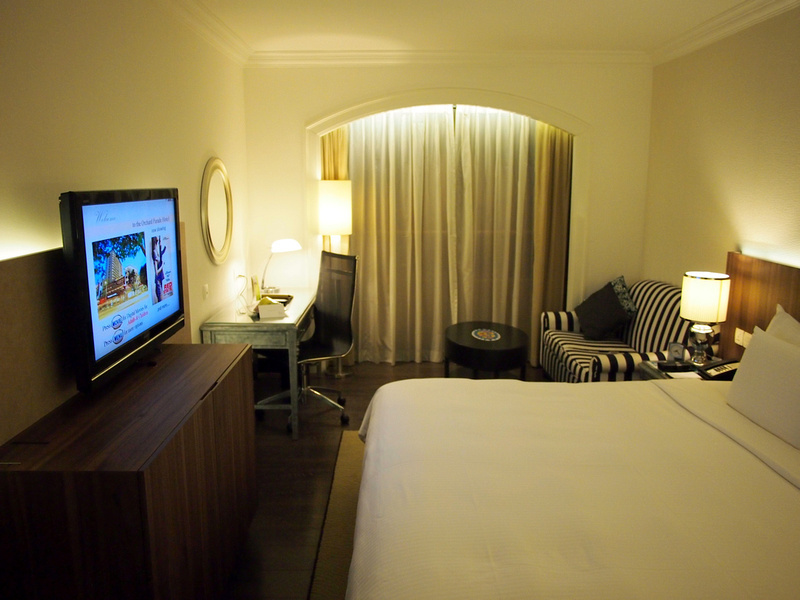 For new visitors here is a guide for where to stay in Singapore.